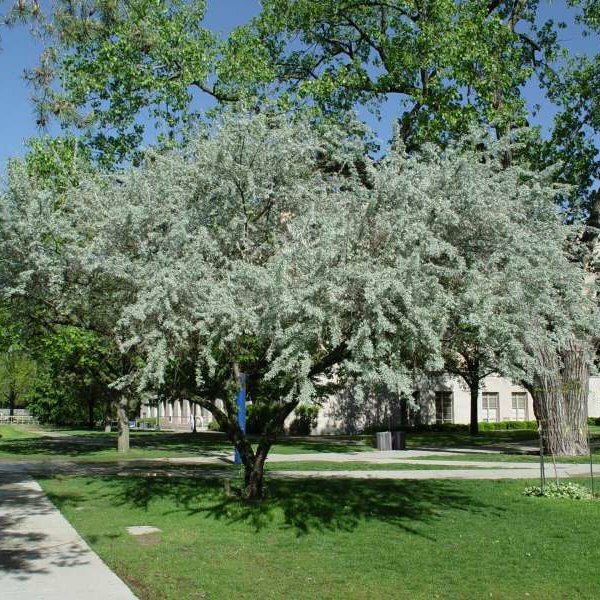 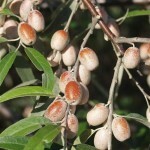 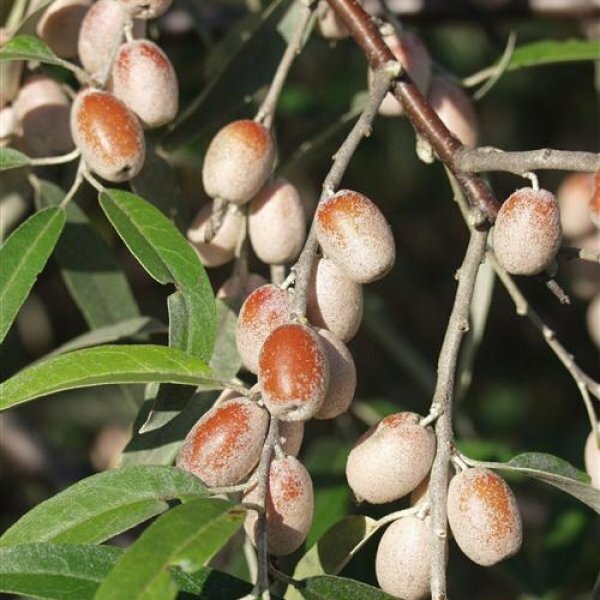 Russian olive is a large deciduous shrub or small tree that's remarkably hardy and beautiful but known to be invasive. 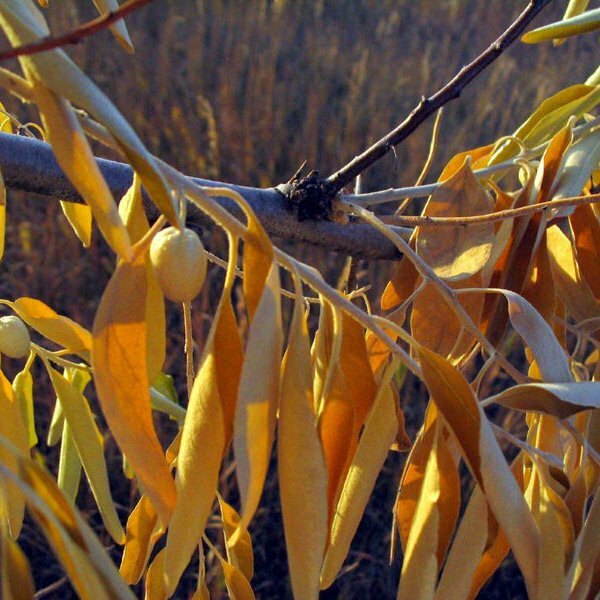 It is native to southern Europe, Russia, central Asia and parts of China where it inhabits coastal regions, lake shores, dry river beds and mountainous areas. 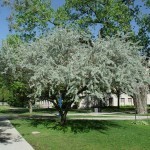 It has also become naturalized throughout much of North America. 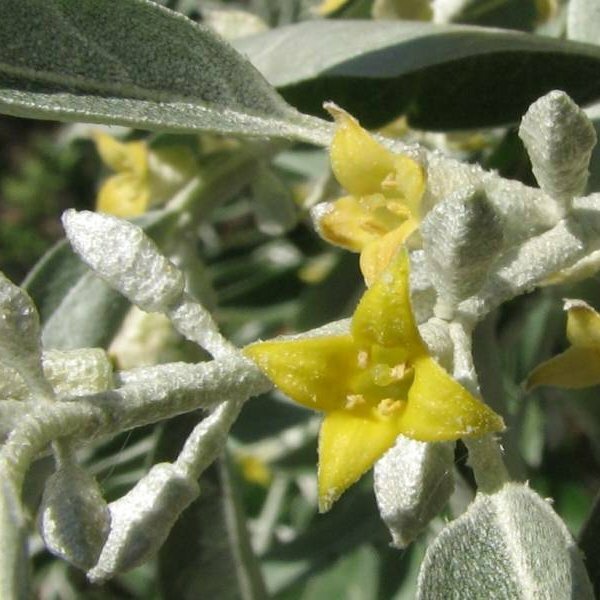 In addition to its graceful habit and silvery leaves it is valued for its edible fruit, quality timber and fast-growing nature. 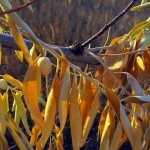 The narrow, lance-shaped leaves of Russian olive are green above and silvery, gray-green below. Its brown, scaly, often thorny branches are covered with exfoliating bark that adds winter interest. Silvery white, strongly fragrant flowers with yellow centers appear in late spring or early summer and are followed by edible, olive-like fruit.